Zits happen! Blemishes or pimples often show up on your face, neck, chest, back, and shoulders, where skin has the greatest amount of oil glands. 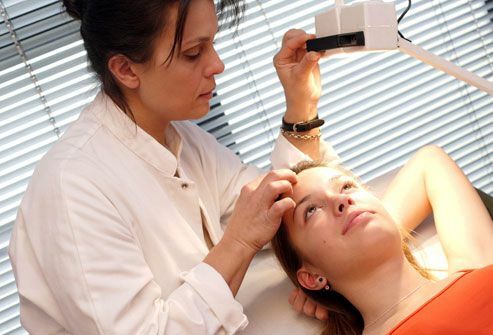 It happens to just about everyone, but treatments can help keep acne in check. Overdoing it can irritate your skin and make acne worse. So can grainy scrubs or soaps with harsh chemicals. Instead, wash acne-prone areas twice daily with a mild cleanser and warm water to minimize irritation. It's a myth that oily foods or chocolate directly cause pimples. Acne happens when pores are blocked by oils, skin cells, and normal bacteria, causing inflammation. If certain foods seem to make you break out, avoid them. 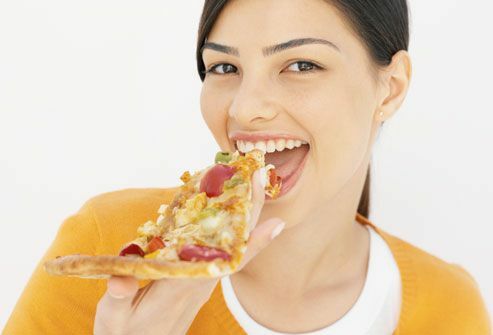 But you don't need to shun pizza or chocolate for clear skin. Avoid oil-based cosmetics. How can you tell? Follow this simple guideline: Creamy foundation or blush generally can clog pores. 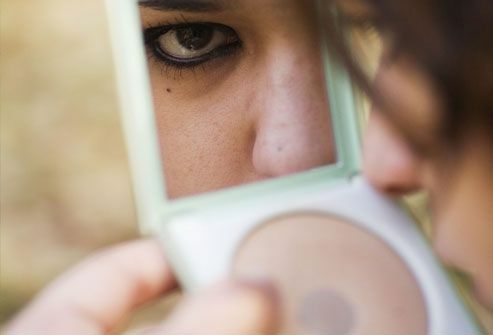 Mineral-based cosmetics, which are light and powdery, may be less likely to do so. You can look for “noncomedogenic” on makeup labels. If you wear makeup, use an oil-free foundation. Also, no matter how tired you are, wash your makeup off before bed. It's a myth that tanning clears up your skin. 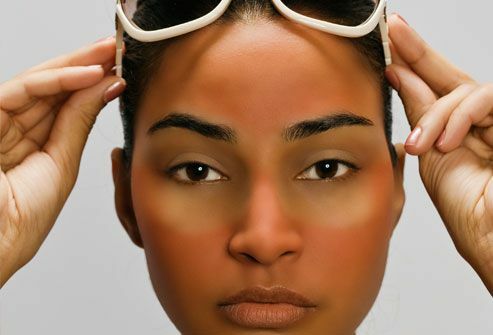 UV rays put you at risk for skin cancer, premature aging, and wrinkles. Don't lie in the sun or use a tanning booth. Also, some commonly prescribed acne medications, including retinoids that go on your skin, can make you more sensitive to damage from UV rays. So always wear sunscreen and limit how much sun you get. Wear an oil-free sunscreen or moisturizer with a sun protection factor (SPF) of 30 or higher that says "broad-spectrum" on the label. That means it protects against ultraviolet A (UVA) and ultraviolet B (UVB) rays. Look for “noncomedogenic” products. Use a generous amount and reapply every 2 hours. Too much product such as pomades or gels can clog your pores when your hair brushes against your face. If you have oily hair, shampoo daily. Shield your face when you use any sprays or gels on your 'do. Got long locks? Pull them back when you sleep so they don't aggravate your skin. Try to keep them away from your face during the day as well. Why? Hair contains oils that can block pores and cause breakouts, even if you don't use hair products. Avoid touching or rubbing your face, since that can make acne worse. Try to keep your cell phone from touching your face, too. Use earbuds instead of having the phone against your skin. Also, don't lean your face on your hands, which may carry oils and germs that can irritate blemishes. Sweat can also make acne worse. Sweaty after exercise? Wash up. 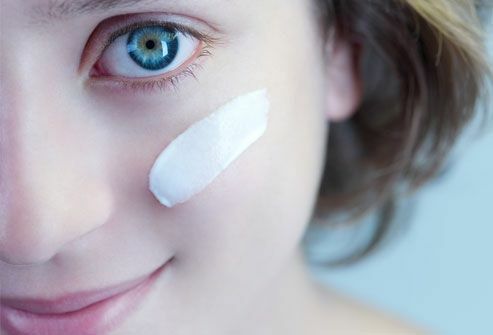 Use cotton balls, cotton swabs, or clean applicators when you smooth on creams or put makeup on. Don't reuse them -- start fresh every time. If you use your hands, wash them first and only use your fingertips. Also, clean your skin before you put on makeup. Choose one that says "noncomedogenic" on the label. Worried about moisturizing acne-prone skin? Don't sweat it. A good product will help calm irritated skin and keep acne at bay. It just creates more problems. Squeezing pimples may push infected material into the skin, where it can cause more inflammation and scarring. Resist the temptation so that those spots heal faster and are less likely to scar. There’s no quick fix for acne. Medicines don't work overnight. Many treatments take weeks of daily use before your skin improves. Some acne may take up to 6 months to clear up. Afterward, basic skin care -- bathing daily and washing your face and hands with mild soap -- may not be enough. You may need to keep using your medicine even when your skin clears. Follow your doctor’s directions. Don’t use too much or too little. If the ones you're using now don't seem to be working, see your doctor or dermatologist to talk about other options. There are many types of medicines to help clear your skin. Some need a doctor's prescription. 16) PHANIE / Photo Researchers, Inc.
Mitchell Goldman, MD, medical director, La Jolla Spa MD, La Jolla, Calif.